This summer, Lawton Public Schools high school students in grades 9 through 12 may enroll in courses that are required for high school graduation and for college entrance. Tuition for students who attend Lawton Public Schools during the regular school year is $160 for the first 1/2 credit and $80 or each additional 1/2 credit. 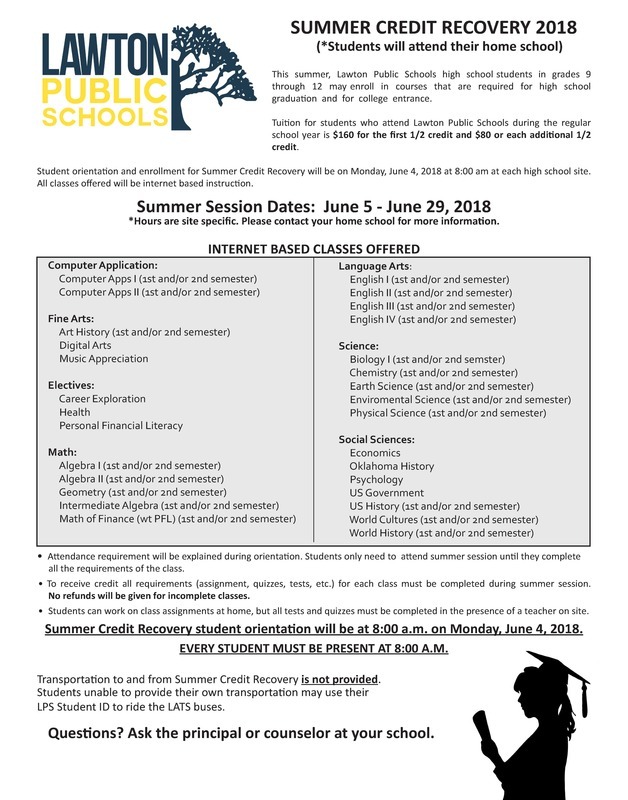 Student orientation and enrollment for Summer Credit Recovery will be on Monday, June 4, 2018 at 8:00 am at each high school site. All classes offered will be internet based instruction.